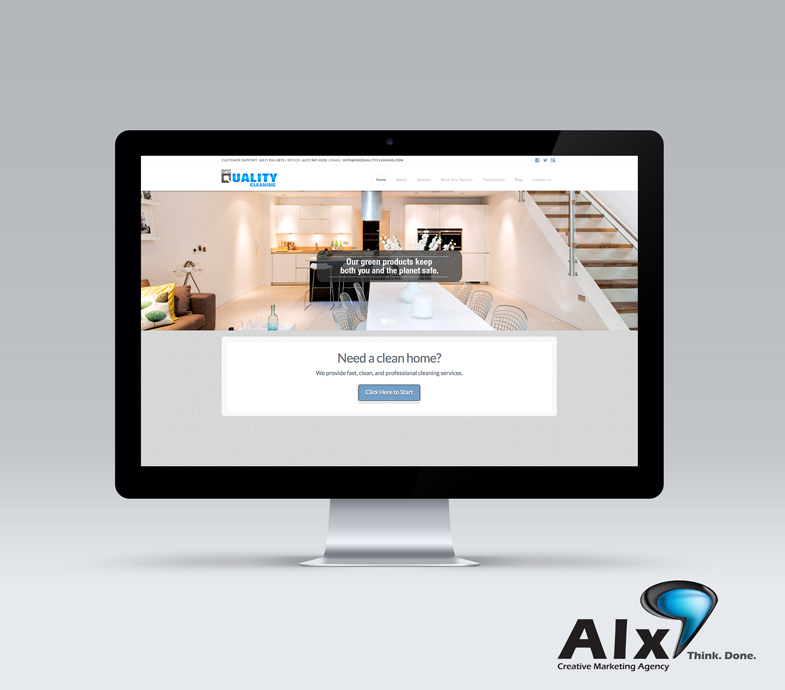 Our designers and developers worked closely with One Quality to construct a website that illustrated the elegant apartment spaces they offer their services to. With the use of negative space and light photography, we captured the atmosphere of a clean space. A critical goal for One Quality Cleaning was to give their customers the ability to book and pay through services through their website. With this in mind, we constructed a custom booking system for clients of One Quality to book, manage, and pay for appointments easily through a appointment management system. We planned this logo project as a series of flexible components, so that it would be flexible on a wide variety of both digital and printed materials. 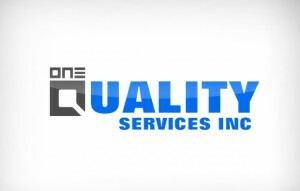 The “one” over the “Q” in quality was very easily simplified to a favicon for the website as well as an iconic image for the business’ profile to stand out across the internet. 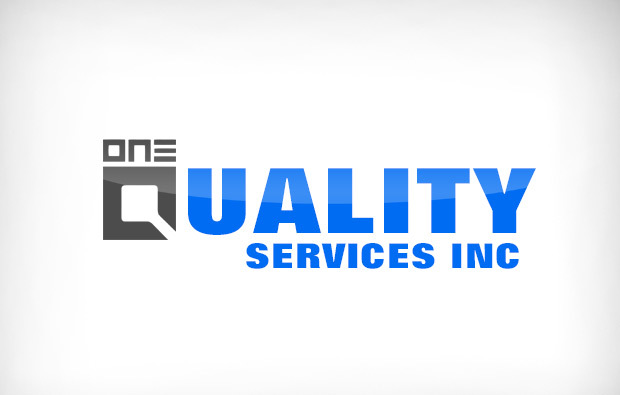 To help solidify the professionalism of One Quality Cleaning, we constructed a clean, modern design keeping in mind the crisp blue and grey hues discussed in our original branding plan. 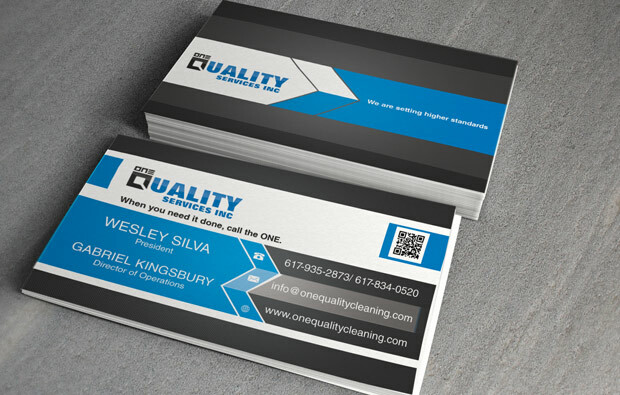 Upon receiving a business card from One Quality Cleaning, customers will be able to easily access the company website by scanning a QR code with their phone or tablet. 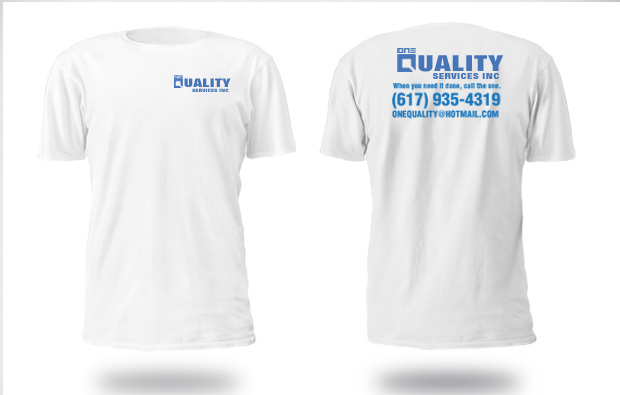 To increase the name/brand recognition One Quality wished to cloth their staff with T-shirts that displayed their company name, logo, and phone number. After completing a project in an apartment, other apartment goers will now be able to see One Quality’s staff and be able to distinguish their team from other cleaning companies. 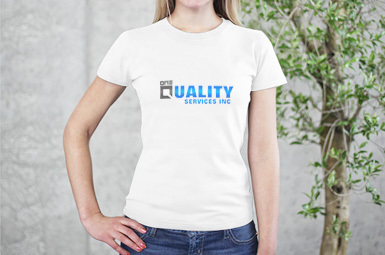 The t-shirts were made with heat-transfer vinyl, which won’t degrade or fade over use and washing cycles. 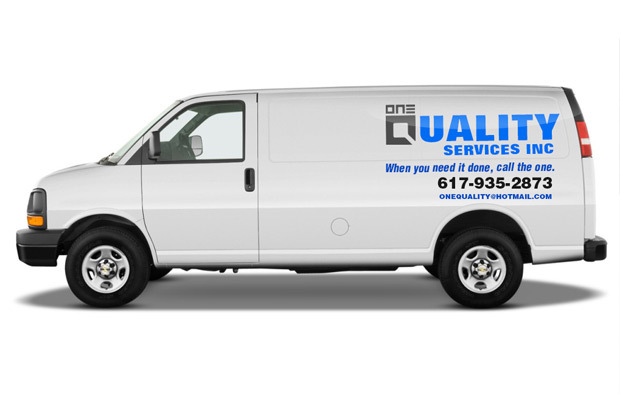 One Quality Cleaning wanted to stretch their audience even further by presenting their company name and logo on their white company van. We were able to achieve this by placing high-quality, weatherproof vinyl on their vehicle.